Group projects, while wonderful, always invite difficulties in collaboration. Inevitably, students have conflicts in working together, but the trouble is that students always seem to bring up these conflicts on the day the project is due--or even after! 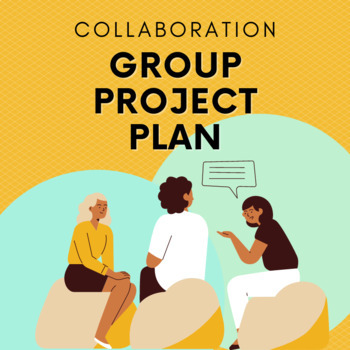 This group project plan puts the responsibility on students to plan out how they will collaborate with each other, and requires students to bring up conflicts as soon as they arise. 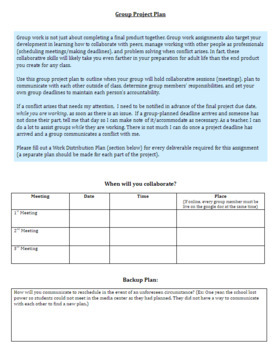 Use this project plan to teach students to be proactive in their approach to group work.